Sisalana and Klei Firma, from Mohawk Group’s Healthy Environments resilient sheet collection on display at Healthcare Design Expo, incorporate biophilic patterning into healing spaces. 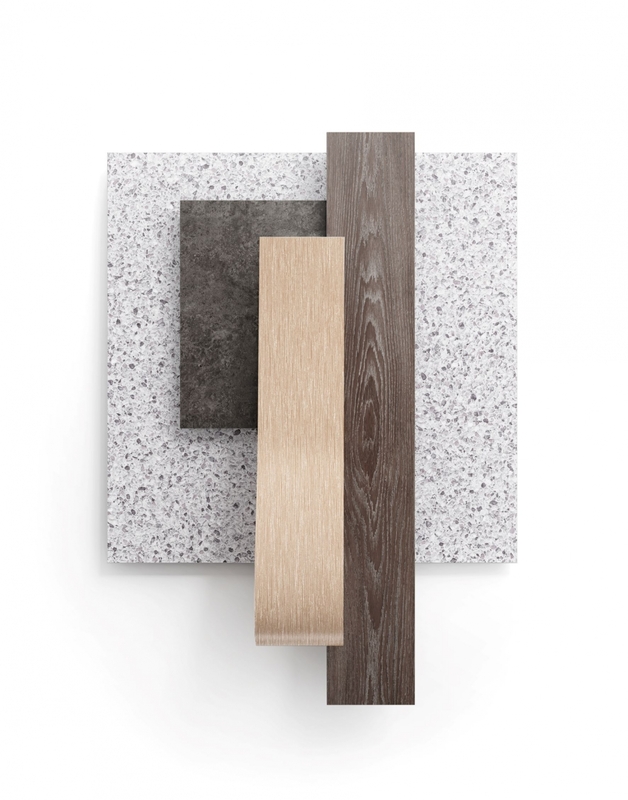 Mohawk Group’s Pivot Point Red List-free enhanced resilient tile is a carbon neutral Living Product and is manufactured using alternative chemistry. Daltile’s Emerson Wood features StepWise Technology, which allows for 50 percent more slip resistance than regular tile in healthcare spaces. The award-winning Healthy Environments carpet tile and hard surface collection from Mohawk Group is inspired by the alluring, soothing colors and textures of species native to the desert Southwest. 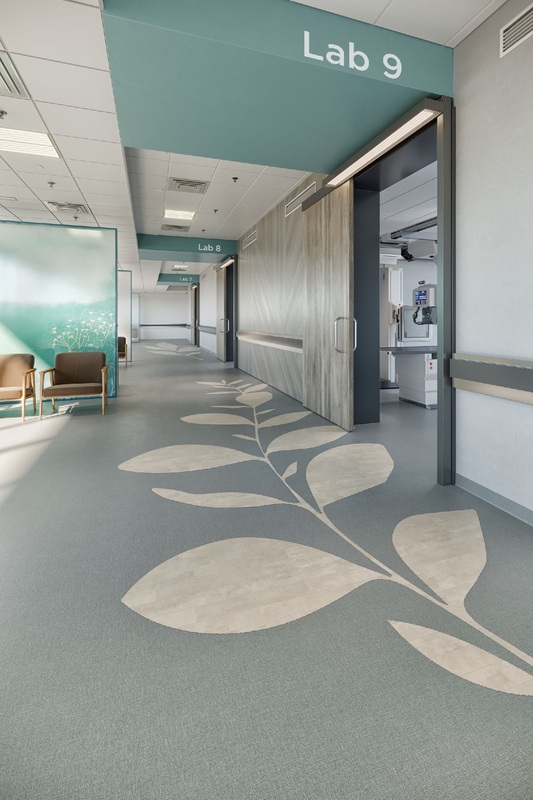 PHOENIX, November 10, 2018 /3BL Media/ — Mohawk Group will showcase innovative floor coverings designed to advance healing and productivity in healthcare interiors at the Healthcare Design Expo and Conference in Phoenix. The event takes place at the Phoenix Convention Center, Nov. 10–13, 2018, and is sponsored by Healthcare Design Magazine as the premier design exposition and conference dedicated to healthcare interiors in North America. More than 3,200 industry professionals will learn about the latest research, trends and strategies while discovering the newest products and solutions for healthcare spaces. Set this year in Arizona, Mohawk Group’s showcase at space 709 will feature flooring influenced by the desert Southwest and other selections rooted in biophilic design. Highlighted collections include Healthy Environments carpet tile and resilient sheet and Pivot Point enhanced resilient tile. The award-winning Healthy Environments carpet and hard surface collection is inspired by the alluring, soothing colors and textures of species native to the American Southwest. In addition to their natural beauty, the innate hardiness of these plants provides a paradigm for perseverance through difficult challenges and environments. Healthy Environments was honored this summer with the Best of NeoCon Innovation Award for Healthcare Flooring. Carpet Tile: Healthy Environments incorporates three 12" x 36" carpet tile patterns influenced by nature. Baccharis is inspired by the organic fluidity of desert broom plants. Chitalpa features an organic grid visual in homage to the utilitarian desert willow branches. Xeric’s randomly flowing appearance was influenced by the tops of mesquite trees and branches below. Each carpet plank is manufactured using sustainable Duracolor Tricor premium nylon fiber, making it functional for the most demanding spaces with inherent stain and wear resistance, advanced soil-hiding capabilities and enhanced color clarity. Healthy Environments carpet tile comes standard on Red List-free EcoFlex NXT carpet tile backing. 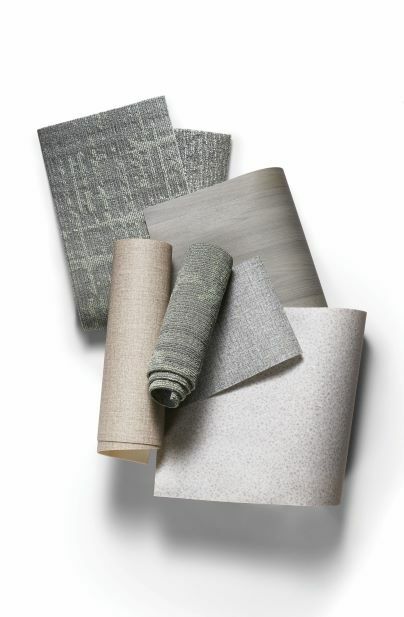 Resilient Sheet: Healthy Environments also includes four heterogeneous sheet patterns in 6' and 12' formats that coordinate with the carpet tile selections. Sisalana features a nondirectional, monolithic textile pattern resembling sisal. Juniperus is a workhorse pattern with a wood visual reminiscent of the highly valued juniper tree. Geomorphic mimics the natural desert floor with a beautiful terrazzo appearance. Klei Firma provides a clean and sophisticated adobe brick aesthetic. The sheet patterns include a 20 mil commercial wear layer and an M-Force™ Enhanced Urethane finish for superior durability and stain resistance. Pivot Point Red List-free enhanced resilient tile represents a true change in direction for sustainable resilient flooring, combining high performance and sophisticated design to enhance healthcare and clinical environments. The Living Product Challenge Petal certified hard surface is manufactured using alternative chemistry and was designed to give more back to the environment than it takes during its entire life cycle. Design and color draw inspiration from fresh, natural materials and biophilic influence, including four wood and four textile patterns in a 7" x 48" plank format and four terrazzo and natural stone visuals in 36" x 36" tiles. 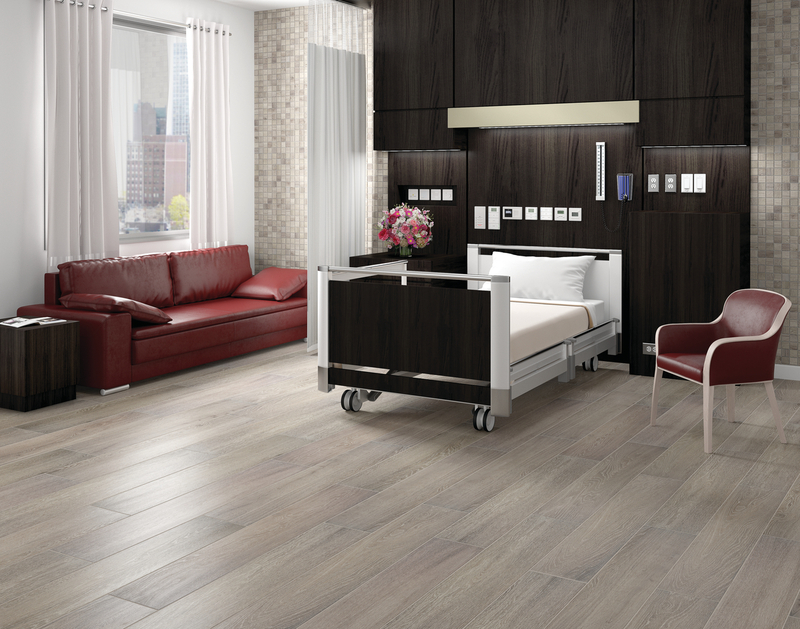 The colors and styles within the carbon-neutral collection can be combined or used individually to create abstract, contemporary flooring designs for healthcare spaces. Pivot Point features a 3 mm thickness, a 20-mil commercial wear layer for superior durability and an M-Force™ Enhanced Urethane finish. With an unparalleled selection of elegant tile, natural stone and slab products for healthcare spaces, Daltile will also be showcased as part of Mohawk’s presence at the expo. Featured at the booth will be Emerson Wood with StepWise Technology, which allows for 50 percent more slip resistance than regular tile. “Flooring is an integrated part of patient-centered healing environments, from acute care and nonacute to all levels of senior living, and we are proud to be able to leverage our respective brands across multiple categories to serve our valued partners,” added Hubbell. As part of conference programming, Mohawk’s Hubbell will join panelists representing Medxcell, Haworth and Wilsonart to speak on the “Three Boldest Trends in Flooring, Surfaces and Furnishings Every Designer and Owner Should Know,” Nov. 11, 6–6:30 p.m., in the convention center’s Solutions Theater. Access a full schedule of events and learn more about Healthcare Design Expo by visiting HCDExpo.com. Mohawk Group’s mission is to serve those who heal, live and work in the healthcare built environment by creating innovative flooring across multiple categories, including enhanced resilient tile, sheet vinyl, rubber, carpet tile and broadloom carpet. To learn more about Mohawk Group’s approach to designing healing spaces, click here. As the world’s leading producer and distributor of quality commercial flooring, Mohawk Group believes that better floor coverings emerge from better design, innovation, sustainability, project solutions and operational excellence. Mohawk Group addresses the unique challenges and opportunities in contract interiors with a comprehensive carpet and hard surface portfolio of all types and price points. As the commercial division of Mohawk Industries, the company has a heritage of craftsmanship that spans more than 130 years. To learn more about our full line of flooring products, please visit MohawkGroup.com or call 1-800-554-6637.